I have found another great beauty product to share with all of you. This powder is a part of my every day routine, and I don't see that changing anytime soon. This item retails for $38 at Sephora, and it is worth every penny. The compact is also very pretty which is always a bonus. This is rated 4.4/5 on the Sephora website, so clearly I'm not the only person loving it! I have oily prone skin, with large pores which is a mix of genes and a result of my acneic skin. I have tried all different kinds of 'pore erasers' and primers, I have found some that help but none that give me results like this powder. I feel like this powder would be great for all skin types if applied properly and sparingly. My skin can be sensitive and I've had no issues what so ever! This product is free of all parabens, sulfates, and phthalates. Application: I use the puff applicator that comes with the compact. 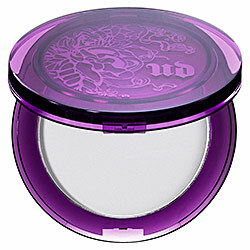 Be careful not to put too much of the powder on the applicator to avoid a white cast, because a little goes a long way. Then lightly press into the skin in the areas you want mattified, or pores to appear less noticeable. I also recommend using this product as a touch up mid-way through your day. Thanks for reading, and have a splendid day!